Posted by StrategicGrowth in marketing strategies, mobile, Mobile Marketing, Strategic Growth Concepts, The Mobile Marketing Review. 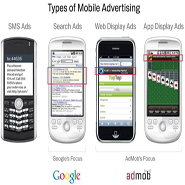 In my work with small and mid-sized businesses and advertising agencies, I am often asked, “what makes for a good mobile marketing campaign” and “how do I know what consumers will react to on mobile”. As a result, for some time I’ve been considering a variety of ways to provide small and mid-sized firms with an easy way to obtain this information. Now I’ve found the right solution! I have recently joined forces with two mobile industry power-houses, Kim Dushinski (author of The Mobile Marketing Handbook) and Peggy Anne Salz (publisher and chief analyst for the Top 50 technical blog, mSearchGroove) in producing a regular podcast for the mobile industry. Entitled, ‘The Mobile Marketing Review‘, this forum will provide us the opportunity to share our collective experience; educate the industry, business owners and marketers, and agencies who are interested in bringing mobile to their clients; and to help communicate the best practices that are part of working with mobile. Taking the name, The Mobile Mavens, we will launch The Mobile Marketing Review podcast series on Tuesday (October 26th ). On our new website (dedicated to the news and views around our new series) we offer companies the opportunity to submit their mobile marketing and advertising campaigns (via this form) for our consideration. Each month we will use our podcast as a platform to review a selection of the mobile campaigns that are submitted to us, and provide our expert analysis on how well the campaigns achieved their objectives (and served the interests of the most important stakeholders: consumers). We kick off the first podcast in the series with an in-depth look at a recent mobile/cross-media campaign to promote Arby’s Roastburger sandwich. The campaign, which was developed by Hipcricket, is also a finalist in the Mobile Marketing Association (MMA) Awards North America product launch category. Moving forward, we are eager to receive campaigns from small businesses, local brands and emerging markets. We would like to encourage brands and agencies everywhere to submit your mobile marketing campaign via this form. It’s your chance to know how your campaign really stacks up and (hopefully) learn ways to generate positive results for your company, and valuable content and experiences for your consumers. Meantime, check out the web/mobile site and follow Kim, Peggy and myself on Twitter (@MobileMktgRview). 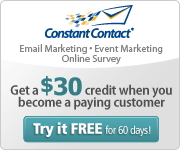 Posted by StrategicGrowth in email marketing, mobile, Mobile Marketing, Social Media, Strategic Growth Concepts. As someone who spent many years in shopping mall management and marketing, I still have a keen awareness of strategies which drive consumer traffic and behavior in the shopping center environment. As with retail in general, the name of the game is consumer loyalty, and malls have been utilizing email and membership card-based loyalty programs for years. But now, mobile technology has provided a new spin on the shopping mall loyalty program and General Growth is the first national shopping center development/management firm to debut this cutting edge technology on a national basis. The article below details the the new General Growth program and the strategy behind it. For small businesses reading this article, these same strategies could be employed on a smaller scale to develop your own customer loyalty program to increase sales. Further, this type of program can be enhanced by the integration of supplemental Social Media strategies to encourage interactivity between the members of the loyalty program and the organization. The more “connected” the members of the group are with each other and with ‘the brand”, the more likely they are to be loyal customers and frequent users of “the brand”. I encourage you to read the article and consider ways in which these ideas might be applied to your business. Should you be interested in learning more about mobile marketing and/or social media and how these tools can help grow your business, please review the mobile section of our website, mobile marketing and social media articles within this blog, or contact us directly via the website or email at info@strategicgrowthconcepts.com for a FREE initial consultation. General Growth Properties, the nation’s No. 2 mall owner, has introduced what it claims is the nation’s first national mall-based mobile advertising network. Working with mobile marketing firm Mobisix, the troubled mall giant has extended its email-based The Club program to include The Club Mobile, an alerts service that relies on SMS. General Growth’s marquee properties include Water Tower Place in Chicago, Fashion Show at Tyson’s Galleria outside Washington and South Street Seaport in New York. “This program is also unique in that it is driven by consumer-controlled preferences and data and analytics decisions to ensure consumers receive only the most relevant offers, and according to their opt-in rules they establish,” said Michael Foschetti, managing director of Mobisix, Charlotte, NC. Consumers who sign up online with mobile number and other preference data at http://www.theclubmobile.com will receive discounts and offers via regularly scheduled text messages. Those who sign up stand a chance to win a $1,000 shopping spree. The goal of this loyalty program is to incentivize registered consumers and drive foot traffic to the more than 200 regional shopping malls with 24,000-plus retail stores that Chicago-based General Growth owns or manages in 44 states nationwide. Mobisix’s messaging platform powers The Club Mobile, delivering targeted, personal offers based on consumer-controlled preferences, data and analytics. What’s the thinking behind The Club Mobile? The Club mobile is an innovative new-media platform for retail brands to target specific audiences with highly relevant messages and drive store traffic. Will mobile book returns for General Growth’s Jordan Creek mall in Des Moines, IA? In these economic times, the more innovative ways we can use technology to inform the consumer of events and sales while utilizing the club the better. The Club is a strategic extension of General Growth’s email marketing platform, The Club, and offers the similar value to on-the-go consumers and consumers that prefer to receive opt-in messages to their mobile phones versus email. Early adopters of The Club Mobile cross all demographic groups and comprise age groups 13-65. Both male and female audiences have expressed significant interest and are representative of our subscriber base. Retail brands across categories will express an interest in learning more about the database. Can we be sure it’s the nation’s first mall-based mobile ad network? There are several SMS services out there within the retail space, but none to our knowledge that were launched on a nationwide basis among so many malls all at once. This program is also unique in that it is driven by consumer-controlled preferences and data and analytics decisions to ensure consumers receive only the most relevant offers, and according to their opt-in rules they establish. This program is larger than just one brand. It is a media network that many brands can choose to participate in based upon their unique marketing needs from national to local. Why text messages to mall-goers? Any research backing receptivity to such messages? Retail has always strived to find channels to get one-on-one with customers. It’s also an industry that stands to really benefit from strategic applications, and on a larger, more macro scale, of mobile marketing. Getting an offer in the consumer’s hands in that last mile to the sale and getting them in-store is happening today across the mobile and retail spectrum, and in highly successful ways. Many brands are seeing success with mobile, but in some cases just cannot grow their lists large enough to really move the needle. The Club Mobile, for retail brands, will really complement the brands’ existing mobile marketing programs and add another layer of micro-targeted activity to the mix. Significant research was tapped to gauge consumer receptivity to mobile marketing messages within retail, and as long as consumers are in control – how often they get messages, what types of messages they receive and easy opt-out process – very positive feedback was found. The Mobile Marketing Association’s research indicates approximately one in 10 U.S. consumers are highly interested in mobile marketing, and that is underscored among youth audiences and related to offers and coupons. Both play strongly to General Growth’s program. When will those who register to The Club Mobile get the text offers? The maximum number of offers that a consumer will receive is eight per month, or two times per week. Can mobile help mall retailers? What can mobile offer that other channels don’t? Yes, we believe it can enhance retailers’ existing mobile marketing efforts and more. Mobile provides a powerful and efficient one-on-one communication channel for retailers to reach a specified customer base. Mobile experiences incredibly high open and read rates that result in significant response rates. It also enables retail brands to continue to adapt for efficient and green marketing practices – accountable to ROI and the environment.